Today is Monday, Dec. 3, the 337th day of 2018. There are 28 days left in the year. On Dec. 3, 1984, thousands of people died after a cloud of methyl isocyanate gas escaped from a pesticide plant operated by a Union Carbide subsidiary in Bhopal, India. In 1818, Illinois was admitted as the 21st state. 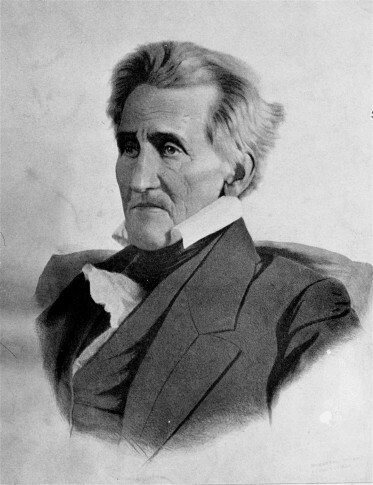 In 1828, Andrew Jackson was elected president of the United States by the Electoral College. In 1833, Oberlin College in Ohio — the first truly coeducational school of higher learning in the United States — began holding classes. In 1947, the Tennessee Williams play “A Streetcar Named Desire” opened on Broadway. In 1964, police arrested some 800 students at the University of California at Berkeley, one day after the students stormed the administration building and staged a massive sit-in. In 1967, a surgical team in Cape Town, South Africa, led by Dr. Christiaan Barnard (BAHR’-nard) performed the first human heart transplant on Louis Washkansky, who lived 18 days with the donor organ, which came from Denise Darvall, a 25-year-old bank clerk who had died in a traffic accident. In 1979, 11 people were killed in a crush of fans at Cincinnati’s Riverfront Coliseum, where the British rock group The Who was performing. In 1980, Bernadine Dohrn, a former leader of the radical Weather Underground, surrendered to authorities in Chicago after more than a decade as a fugitive. In 1991, radicals in Lebanon released American hostage Alann (cq) Steen, who’d been held captive nearly five years. In 1992, the first telephone text message was sent by British engineer Neil Papworth, who transmitted the greeting “Merry Christmas” from his work computer in Newbury, Berkshire, to Vodafone executive Richard Jarvis’ mobile phone. The Greek tanker Aegean Sea spilled more than 21 million gallons of crude oil when it ran aground off northwestern Spain. In 1999, Tori Murden of the United States became the first woman to row across the Atlantic Ocean alone as she arrived at the French Caribbean island of Guadeloupe, 81 days after leaving the Canary Islands near the coast of Africa. Ten years ago: President-elect Barack Obama selected New Mexico Gov. Bill Richardson as his commerce secretary. (However, Richardson withdrew a month later when it appeared his confirmation hearings would be complicated by a grand jury investigation over how state contracts were issued to political donors; Gary Locke ended up being appointed.) Theological conservatives upset by liberal views of U.S. Episcopalians and Canadian Anglicans formed a rival North American province. Five years ago: Seeking to regroup from his health care law’s disastrous rollout, President Barack Obama insisted the sweeping overhaul was working and warned Republican critics that he would fight any efforts to strip away its protections. A federal judge ruled Detroit could use bankruptcy to cut employee pensions and relieve itself of other crushing debts, handing a defeat to the city’s unions and retirees and shifting the case into a delicate new phase. The Illinois Legislature approved a historic plan to eliminate the state’s $100 billion pension shortfall. One year ago: The second-largest U.S. drugstore chain, CVS, announced that it was buying Aetna, the third-largest health insurer, in order to push much deeper into customer care. Former longtime Illinois congressman John Anderson, who ran for president as an independent in 1980, died in Washington at the age of 95. A partial implosion of the Silverdome in Pontiac, Michigan, failed to bring down the upper section of the Detroit Lions’ former home; the demolition company handling the project was successful the following day.